Late Antique artifacts, and the images they carry, attest to a highly connected visual culture from ca. 300 to 800 C.E. On the one hand, the same decorative motifs and iconographies are found across various genres of visual and material culture, irrespective of social and economic differences among their users – for instance in mosaics, architectural decoration, and luxury arts (silver plate, textiles, ivories), as well as in objects of everyday use such as tableware, lamps, and pilgrim vessels. On the other hand, they are also spread in geographically distant regions. Decorative motifs of Roman (and later Byzantine) origin appear, mingled with local elements, far beyond the traditional borders of the classical world – in the Germanic West, Himyarite South Arabia, Sasanian Iran, and the Umayyad Empire. 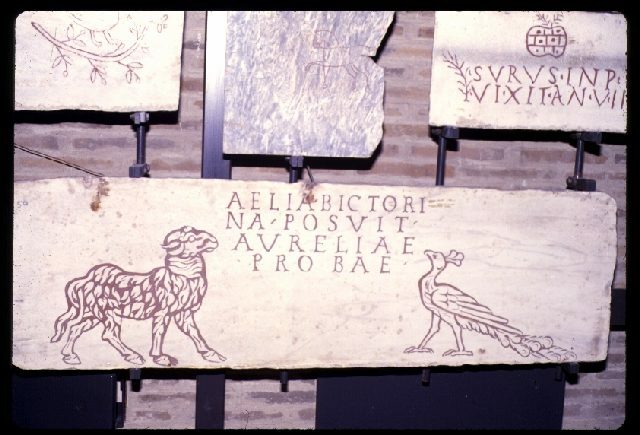 At the same time, foreign motifs, especially of Germanic and Sasanian origin, are attested in Roman territories. This combination of iconographies pertaining to different traditions in various cultural contexts created a veritable koiné of images, which was characteristic of the Late Roman and post-Roman world. This panel wishes to investigate the reasons behind this appropriation of images in different cultural contexts across the Late Antique world. Katharina Meinecke, Universität Wien, Institut für Klassische Archäologie (katharina.meinecke@univie.ac.at).